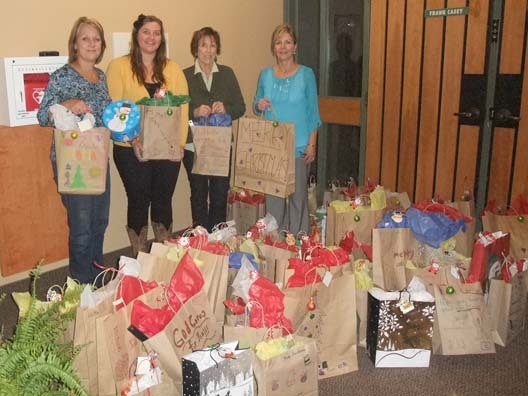 The “Jarvis Gems” from the Ebenezer Christian Reformed Church in Jarvis have generously donated over 50 gift bags, for young girls and boys in our community. Instead of exchanging gifts themselves, they are giving to others. They have taken the time to hand-decorate each bag and personalize for gender and age. We are so grateful for their kindness. Pictured here is: Brenda Hunt of the CAS, Terri VanBenthem and Maria Eggink of the Ebenezer Church, and Shari Gardener of the CAS.